The Universe Multicultural Film Festival (UMFF) was held last Friday, April 6th to Sunday, April 8th. A number of events happened in 4 venues in Palos Verdes Peninsula cities. Hundreds of filmmakers from Hollywood and aboard met in the beautiful peninsula for a full 3 days of film, fashion, finance, and multicultural harmony. All events were open to the public by purchasing admission tickets online. 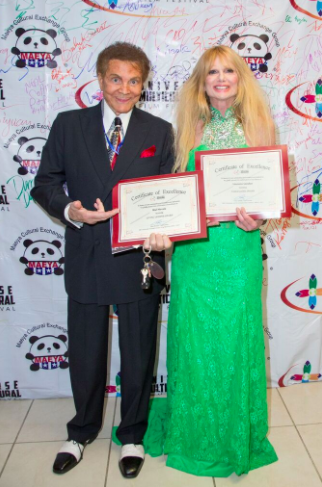 The honorees of UMFF were nominated by audiences worldwide. The opening gala was on Friday, April 6th. The Masters of Ceremony were Magi Avila, Isabelle Hu and Mark Justice. Some South bay local artists performed in the opening gala: Jayme Claire sang the National Anthem to open the ceremony, Dan McNay sang songs to welcome film maker from worldwide. Young dancer Cady Mariano from San Diego performed her fantastic solo dance. A number of industry panel discussions were held in UMFF, which are in the area of screenwriting; production; pitching-and-catching and distribution, plus a working with China panel discussion. 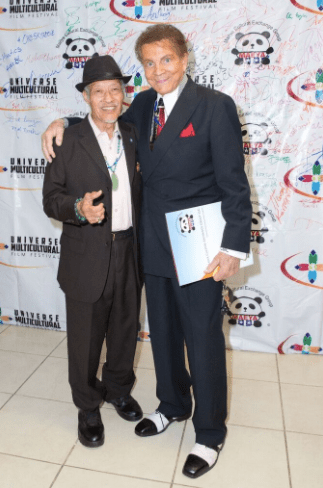 A number of well-know Hollywood film personalities shared their experiences with the audiences. James Cullen Bressack; Jacob N. Stuart, Carolina de Athey, Zack Van Eyck, Marilyn Anderson will have open discussions with screenwriters. Alisa Reyes, Michael Baumgarten, Michael Matteo Rossi, Elisabeth White gave film producing tips. John Rodsett, Rick Rieger, Bill H McKinney, Mark Sonoda, Lynn Tang and Rosario Elenawill shared their knowledge in distribution the films to worldwide market. A Chinese film maker delegation of 20 told their stories and shared their insider view of how to make films in China. Two live shows, the Maeya Culture Ambassador Contests and the screenplay showcases, were present at the reception gala at Saturday night April 7th. 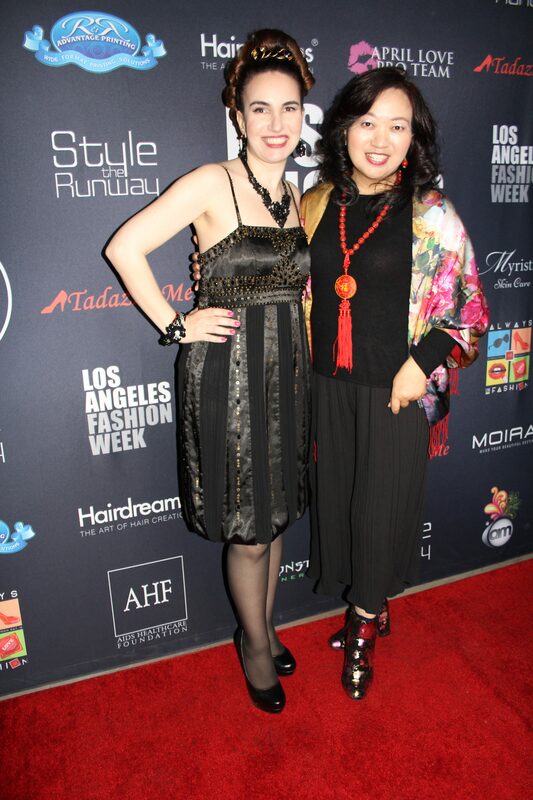 The gala hosts were Carolina de Athey, Linda Wong and young Hollywood star Kayley Stallings. The festival juries shared their judgment points and views. UMFF art juries committee members shared the title winners. The jury’s members include international beauty title winners, models, actress, producers and directors. The film Market session was held in Sunday afternoon April 8th. Multiple film projects did casting, interviews for directors, DP, Scrip doctor, composers, etc. 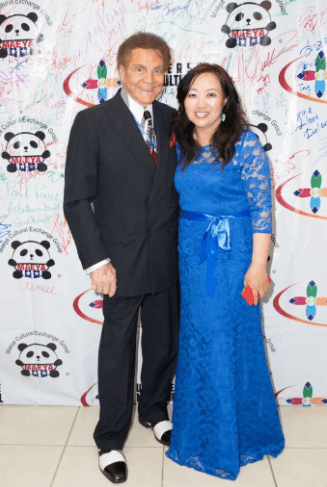 The famous rainbow red carpet and award ceremony was hosted at the RHCC Community center in Rolling Hills Estates, the Host team was Mark Justice, Isabelle Hu, Magi Avila. 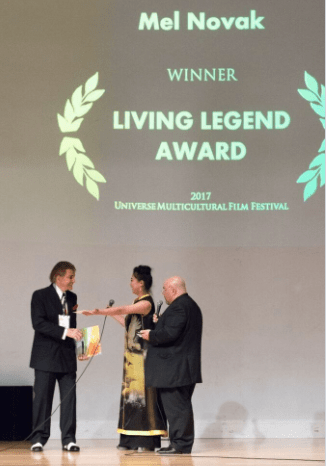 The award presenters were Vanessa Branch (Hollywood), Danny Pardo (Argentina), Sarina (Mongolia), Aki Aleong (Hollywood), festival jury members Eric Brodeur; Dallas King; Ian Fischer; Wei Zheng (China). The ceremony performers are Nityashetra Dance School (Disseminating classical Indian heritage), Wayne Collins and his band (Hollywood); Xi Opera (China); and Mongolian folk songs. 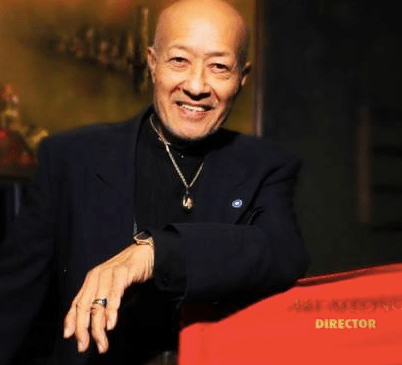 Legendary actor Aki Aleong (Walker, Texas Ranger, V) bestowed awards upon Actress Vida Ghaffari (Jimmy Kimmel Live, The Mindy Project) with a Trailblazer Award and Oscar and Emmy winner Gene Warren Jr. (Terminator 2: Judgement Day, The Winds of War) with a Lifetime Achievement Award.